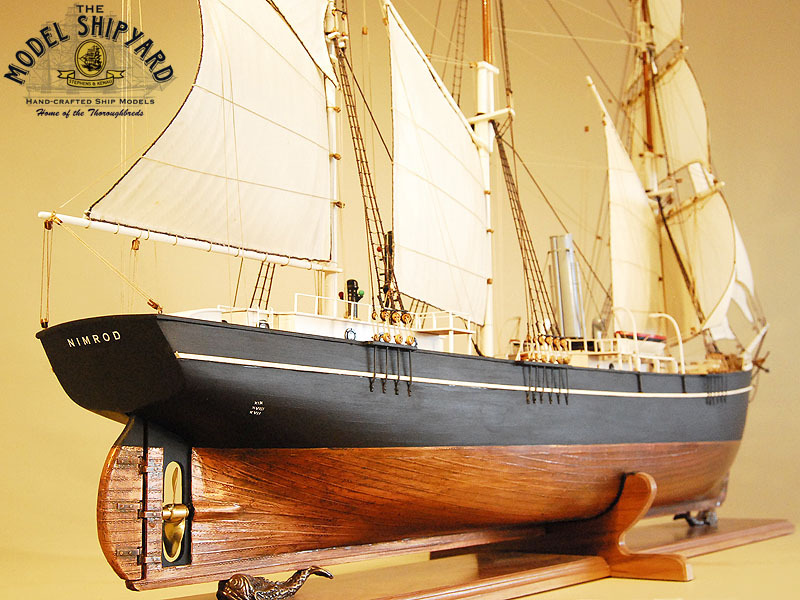 The Nimrod was the ship used in the 1908 Antarctic Nimrod Expedition for the South Pole by Ernest Shackleton. 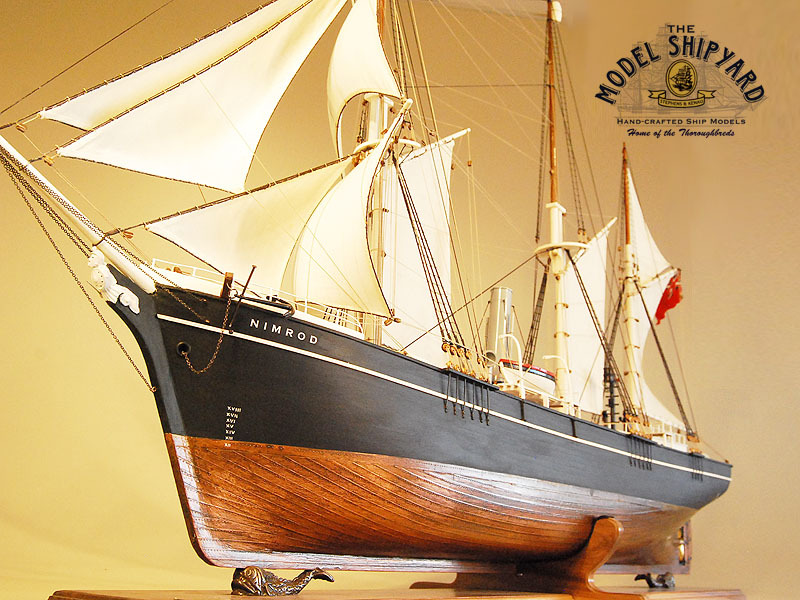 Nimrod was a schooner, built by Alexander Stephens & Sons Ltd in Dundee, Scotland in 1865. 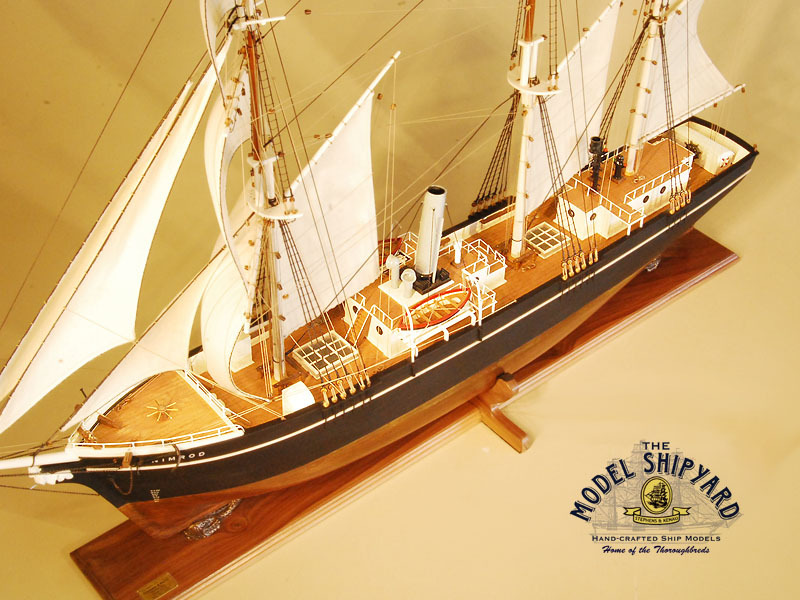 She was launched in January 1867 and was used for 41 years to hunt seals and whales. 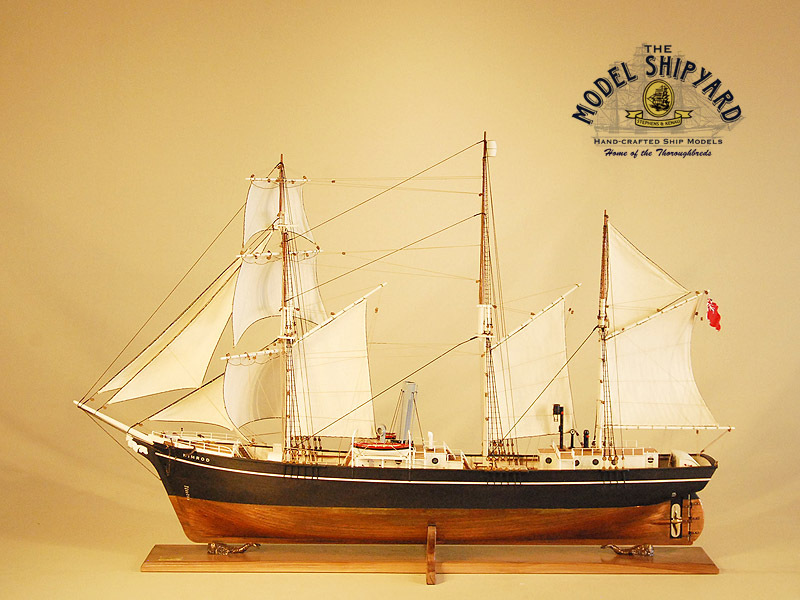 Ernest Shackleton bought the Nimrod and had her re-rigged as a barquentine. 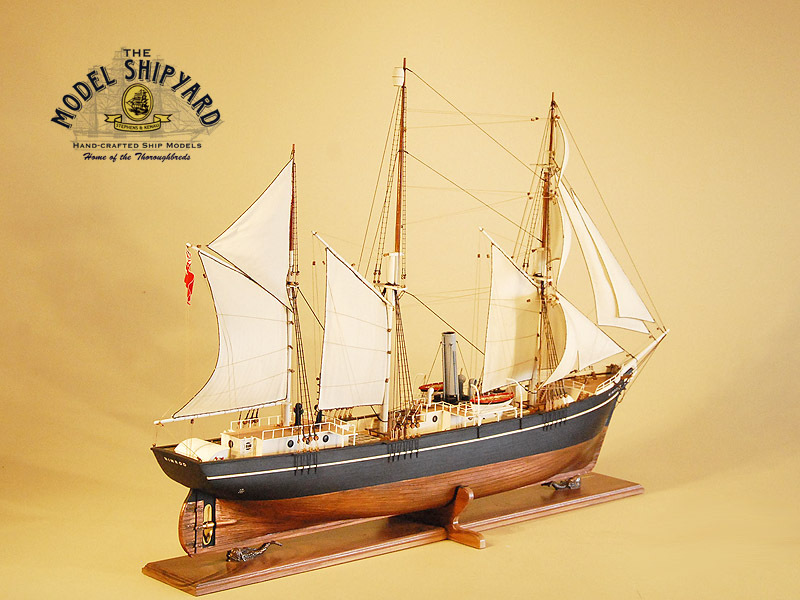 She also had an auxiliary steam engine with a top speed of 6 knots. 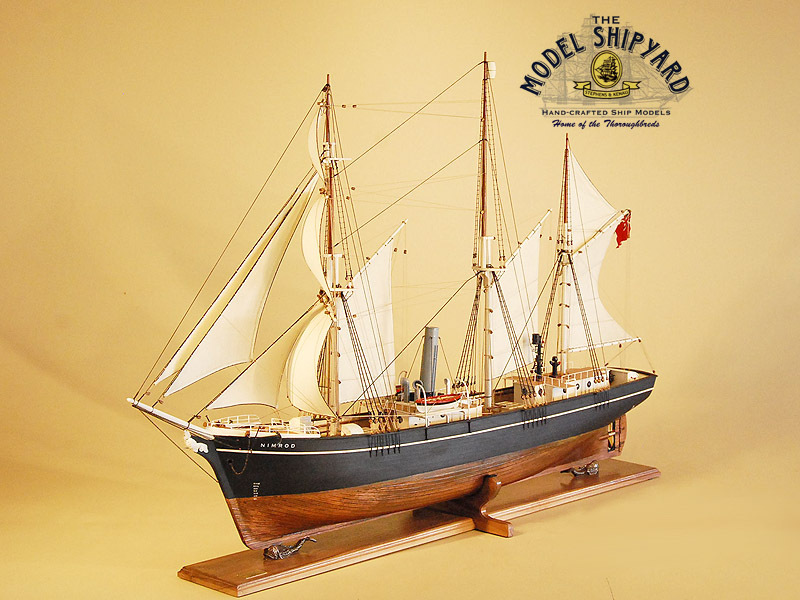 Nimrod was captained by Rupert England when Ernest Shackleton bought her, but he replaced him with Frederick Pryce Evans, who commanded the Nimrod on the relief voyage in 1909. 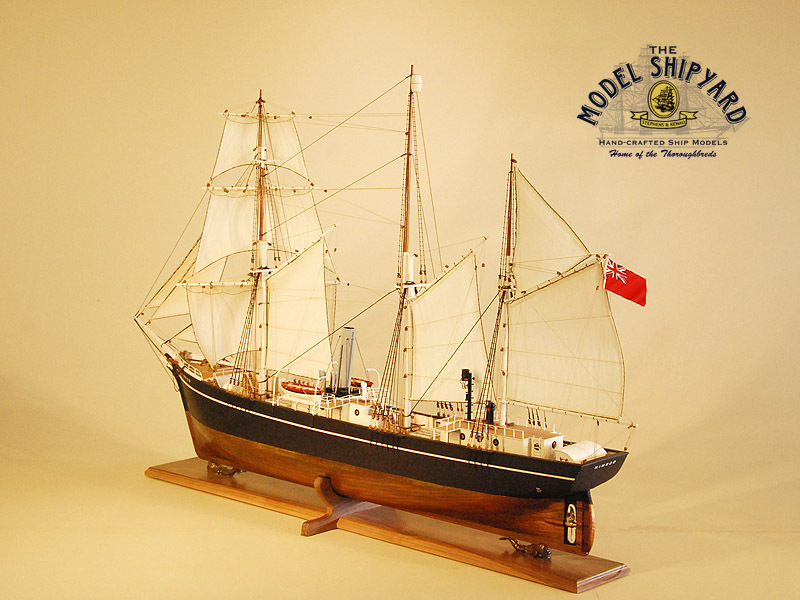 The Nimrod sailed from Torquay on August 7, 1907, and reached the Ross Sea via New Zealand in January 1908. Searching in vain for a landing site on King Edward Land, the Nimrod was forced to go back to Ross Island at McMurdo Sound. Ernest Shackleton established a base at Hut Point and attempted to reach the geographic South Pole. Crossing the Ross Ice Shelf, his team ascended to the 10 000-foot-high Polar Plateau, but had to turn back, 97 miles from their goal. The Nimrod returned to England in June 1909, where Ernest Shackleton used the Nimrod as a floating museum of his voyage before selling her for funds. 10 Years after the Nimrod’s return from the Antarctic, she ran aground on the Barber Sands of the Norfolk coast on 31 January 1919. Only 2 of her 12-person crew survived. A few geographic features of the Antarctic were named after the Nimrod, including Nimrod Glacier.